It's officially Friday and I know I have been MIA for bit. I have been traveling and working like crazy, so I thought I would make it up to you guys just in time for the weekend. 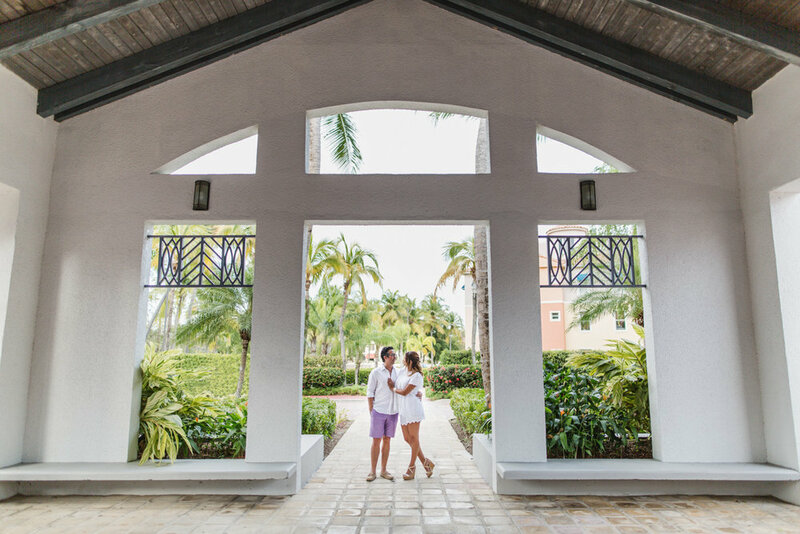 A few months ago a couple photography duo, Chris and Becca Photography, reached out to me, they are destination wedding photographers and wanted to collaborate on some shoots here in Puerto Rico. They wanted to do a styled elopement shoot (more on that next week) and an engagement shoot. As soon as they mentioned they wanted to do an engagement shoot I had the perfect couple in mind. As you all know my good friend Melissa from Miss Lluvia Con Sol is getting married next month and we have been collaborating on some blog posts leading up to her big day, so I thought what better than her and her fiancee to be a part of this shoot! Melissa and José met when they were in 5th grade. They booth lived in the same neighborhood and were rollerblading one afternoon when they bumped into each other. Fun thing was that they were wearing identical outfits, if you ask José, he has been in love with Melissa ever since! As always, life happened and even though they were always interested in each other, the timing was never right. However no matter what happened they were always in each others lives, which eventually led to that perfect timing. 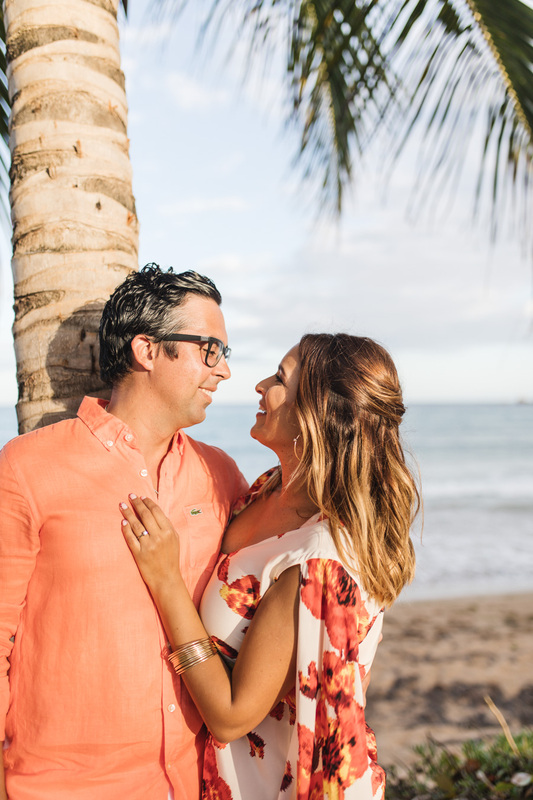 After 6 years together José popped the question in the most romantic way (to learn more about their engagement story click here), and Melissa of course said YES!. I can't wait for the wedding next month and I will be sure to share all the pics from the big day, but in the mean time enjoy the pics from they're super fun shoot with Becca and Chris.